An ordinary way of marking a change or a big day is to wear new clothes – wedding clothes, the vestments at ordination, the new school uniform. John the Baptist is introducing the new life of Jesus, and he dresses differently. Like at baptism we robe the child in the baptismal garment, with the joy of something new. This is the gift of Jesus. Receiving a gift is a sort of challenge to change. We don’t know what it might be; it says something intimate to us; our life is different – something new has arrived. A present of a lawnmower means I might have to cut the grass! We may not always want to accept – a friend of mine gave me the money for a book once which I meant as a gift. He felt beholden to the giver, not like j ust responding in thanks or in love – and we are gifted in love by God. He wants us to take the gift of his Son – and not feel obliged forever. But gifts do change our lives! The Christmas gift is a person – the Son of God, Jesus the Son of Mary. The one who lives our life, dies our death and is raised from death. This gift is the centre of the church and brings with it our hope in Jesus. 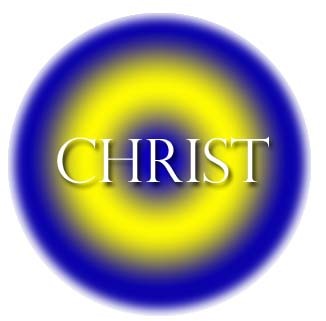 All of us can find Christ at the centre in different ways – in friendships and marriages we share love and live in real love; In our time of prayer we give time to Christ. He is at the centre and with him are the central people and concerns of our lives. And of the church. The time has come for a humble leadership in a community based church where all, particularly women, have a much greater say. The gift of Advent is both a comfort and a challenge to our lives and communities of faith. This entry was posted in Gospel of Luke, Gospel Reflection, Liturgy Resources, Prayer Resources, Scripture, Year C and tagged 2nd Sunday of Advent Year C, Christ at the Centre, Christmas, December 6th 2015, Donal Neary SJ, Gift and Challenge, Gospel Reflection, humble leadership, Jesus Christ, John the Baptist, Luke 3:1-6, preparation, Second Sunday of Advent 2015, Son of God, Son of Mary.